Pulse is life. From the beginning of existence, our Original Pulse is affected by the primordial pulse of the cosmos. At the moment of conception the pulses of the ovule, sperm, and cosmos converge in a field of electromagnetic energy charged with unique genetic information. This Original Pulse beats within the first cells, forming the embryonic body from the central pulse of the abdominal tissues. Energy and blood are distributed from within the abdominal pulse even before the heart and other organs are formed. The pulse is the movement of our vital essence: each pulsation acts as a pump, combining the liquid matter of blood with chi energy to carry the oxygen, information, and nourishment necessary to clean, feed, and protect the entire body. With every pulse, blood moves through progressive levels of refinement: graduating from a state of matter to liquid to vapor, or chi. Blood as a liquid is the interface between the solid state of the physical body and the gaseous invisible form of chi. Chi animates the consciousness of blood, expressed in the movement of the pulse through the space and time of the body’s inner rhythm. Blood is animated with its own intelligence. Observing and working with its vital flow permits the body’s pharmacy to play its role. By noticing where blood flow slows down you can diagnose where sickness begins. A healthy pulse provides optimum blood flow and is a fundamental element to good health. Life Pulse Massage is a holistic healing therapy that focuses on releasing, activating, and harmonizing blood flow to clean, nourish, and regenerate the tissues and the organs of the body, improving vital chi flow. It clears, activates, and balances more than fifty pulse sites in the body. 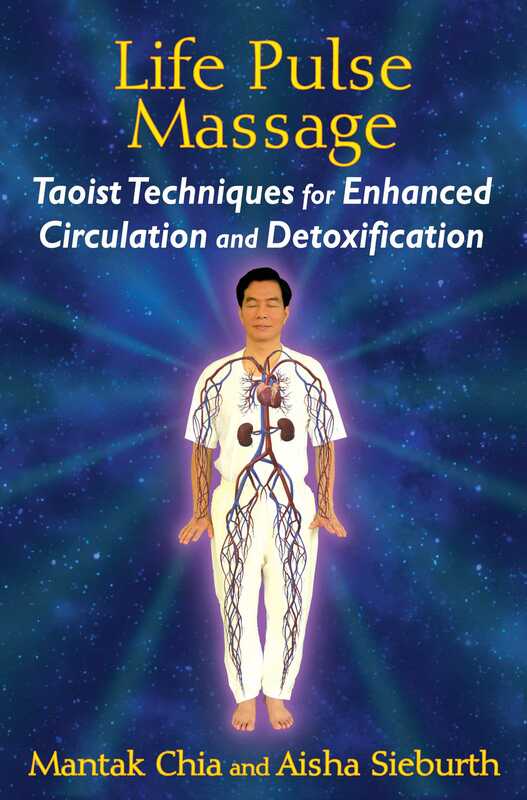 Ancient Taoist culture has provided us with natural and simple methods for correcting the body’s imbalances. This chapter is concerned with clearing and activating the pulses of the body so that they can function in a synchronized system. We begin by working on the abdomen to reposition tissues and arteries, centering energy, balancing body timing, and using the blood flow to flush out debris and toxins. We work from the navel center out toward the peripheral pulses of the arms and legs to balance and synchronize all the pulses of the body. Part 1--Dragon Pulsing: Prepares the body and stimulates overall circulation from the Original Navel Pulse to the extremities. Part 2--Centering and Flushing: Uses pressure and release to reposition tissues and arteries and to flush out debris and toxins from the aorta and major pulses of the abdomen, organs, and extremities. Part 3--Holding, Directing, and Pumping: Maintains pressure on the pulse point to direct the flow of blood between the pulses, while pumping the area concerned to optimize blood flow in specific areas. Part 4--Balancing and Harmonizing: Synchronizes the master pulse beats with the peripheral pulses, balancing them throughout the global body. The Master Pulse Points control the major arteries flowing from the torso to each member of the body. At the origin of embryonic development, the navel is the center of a connective web unfolding from the abdomen to the rest of the body. Any congestion or obstruction in the area will affect the blood flow and function from the vital organs to the entire body. Many people will find that improving blood and energy flow around the navel can help reduce health or pain issues, especially digestive, weight, or back problems. The first step is to work with the center of the abdomen clearing the pulses of the aorta and the navel. Instruct the student to practice deep abdominal breathing to help release the muscles and bring more chi into the vessels. 1. Soften and relax the navel area using the thumbs, fingers, or palms with a pushing, pulling, scooping technique on the skin, fascia, muscle, and tendon layers. 2. Observe whether the navel is being pulled or pushed out of shape. Gently stretch and rotate the navel until it becomes round and centered. 3. Release any knots in this area, working out from the navel center. Sometimes knots and tangles have a head and tail. The head is near the navel and the tail is pointed away from it. 4. Work especially on the vena cava and veins, which carry waste material that can block circulation and affect the pulse. 5. Continue along the aorta and celiac trunk, spiraling clockwise and counterclockwise until you feel that the muscles and fascia have relaxed and loosened. The correct position of the aorta is slightly to the left of the center line. 1. To center an aortic pulse, gently apply pressure from each side and push it toward the center. Hold it in place for 1 to 3 minutes. Move slowly and gently. If an aorta doesn’t want to move to the centerline, do not force it! 2. Trace up and down the centerline feeling for tension and congestion, which can indicate tangles or knots pulling the aorta and pulse off center. Loosen these and repeat the centering and holding 3 to 6 times. Using this holding technique will help the fascia return to a moist state and move easily. It will also lubricate the organs and tissues and reestablish the free flow of chi and blood.